There’s been an ongoing trend in senior living properties and communities across the country. A majority of these places are committed to “going green”. In other words, they’re more conscious about the environment and want to take the right steps in order to promote cleaner and healthier living. These actions are done not only by the communities’ management and staff but also by the occupying senior residents. Small steps like promoting a community recycling program and big steps like installing large solar panels are a just few practices that senior living communities are doing to promote a better, greener living. 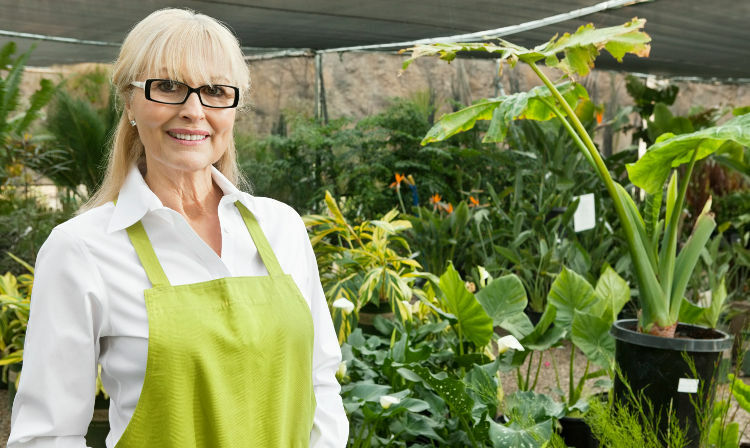 Why “Go Green” for Senior Living? The phrase “going green” generally means utilizing practices and knowledge that can lead to a more environmentally-friendly lifestyle. Additionally, it means being more ecologically responsible in order to protect the environment and promote sustainability for current and future generations. This ideology may sound like a current trend created in the early 2000’s, but actually it started with the boomers, which is the majority of retirees today. Boomers were responsible for creating the first Earth Day on April 22, 1970. From that day, it started a movement of being more environmentally responsible, that finally got its recognition in the 2000’s. Since most of the boomers are looking into retirement and senior living properties, many of them are giving thought of what they offer. They want to live in a place with the necessary services and amenities, but also in a community that has a growing interest in environmental sustainability. In addition to the environmental impact of being ecologically friendly, there are many health benefits for seniors as well. 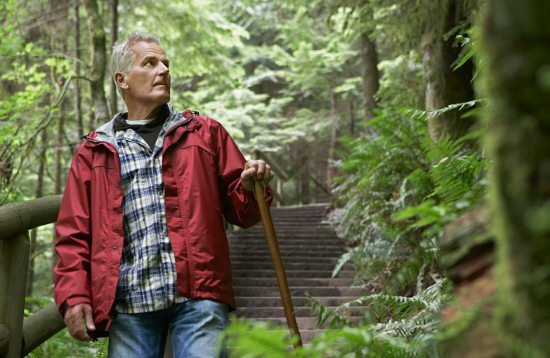 These changes can make a cleaner and healthier senior lifestyle. One of the most common practices in going green is to be more physically active whether you’re running errands or going out with friends and family. This means relying less on your car or other modes of transportation that produce pollutants. Because you’re walking, running, or biking, you’re contributing to the environment and your health. Since more seniors are more concerned about eating healthier while on a budget, they’re more likely to take in more greens than meat. Because of this, they’re not only promoting better health for themselves, they’re also doing the environment a favor. The process of raising meat takes more energy and causes more emissions than raising vegetables. So, while you don’t have to go fully vegan or vegetarian, seniors who opt for more produce in their diet are doing themselves and nature a favor. In addition, they’re also promoting the use of consuming locally grown produce. Studies have shown that exposure to dangerous chemicals not only affect your health but also the environment as well. The most common presence is in household cleaners. Not only do they leave behind nature damaging chemicals and fill up landfills, but exposure to them can cause breathing problems, a hazard for many seniors. Thankfully, companies these days are creating environmentally-friendly green products. But it isn’t enough, which is why seniors and many others are using more environmental methods like cleaning with vinegar and lemon juice. What are Senior Residents Doing to “Go Green”? Everyone in the senior living community is taking steps to be more environmentally active, even the residents. Their small actions add up to a large step for a greener and better life for everyone in the community. Many senior living properties and communities are now installing community gardens for their seniors to use. 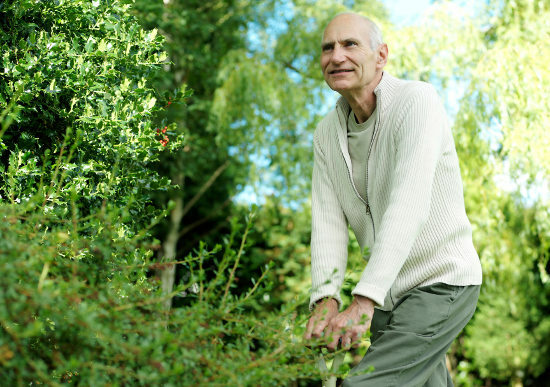 Not only does gardening help seniors be more active outside, it also has a positive impact on the environment. Seniors these days are taking steps to conserve water, since the practice has significant impact on the environment. They are utilizing such methods like taking shorter showers, only using dishwashers when they are full, and other methods of water conservation. Many seniors these days know how to be resourceful and less wasteful. Mainly because they were brought up in times when resources were not as readily available as today. For example, instead of using throw-away cups, they’d opt for reusable cups for their coffee and tea. This method of being less wasteful has significant impact, since it means less refuse to be sent to landfills. What are Senior Living Properties and Communities Doing to “Go Green”? Not only are residents being more green, communities are taking practices to be more environmentally efficient. Many of the steps that communities are taking not only contribute to the environment but help the community save money in the long run. For example, many senior living properties and communities are installing solar panels to help generate energy to help run their facilities and residential areas. 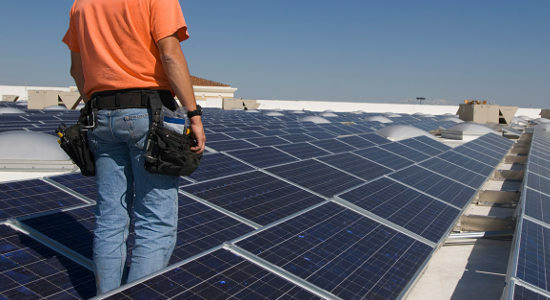 In the long run, installing solar panels can help save around 20% to 40% in overall energy costs. That way, communities can pass the savings onto their residents. Another way communities are going green is installing other energy and environmentally efficient equipment. For example, most communities are opting into installing energy saving lighting on their properties. Because they produce the same light but at a fraction of the cost, the communities save money overall. Staff are also being more green by going paperless for administration work and replacing outdated equipment with more efficient ones. Overall, everyone in senior living properties and communities are doing their part to go green. From the smallest contribution to the biggest installment, it’ll make significant and positive impact to the environment.